There are many ways to remodel a bathroom, but only one way to do it correctly. Improper lighting design takes away from the visual appeal and functionality of the space. 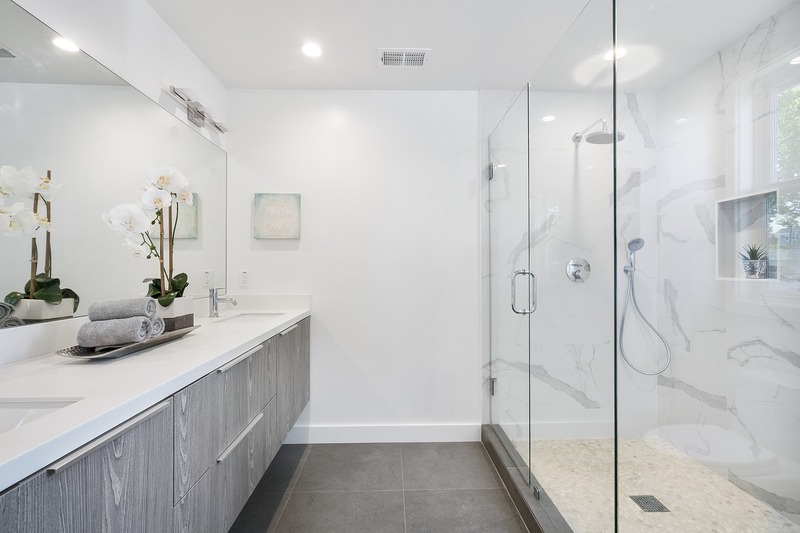 It is best to have knowledge about lighting so you can utilize certain techniques, such as lighting layers, when doing your bathroom lighting design. 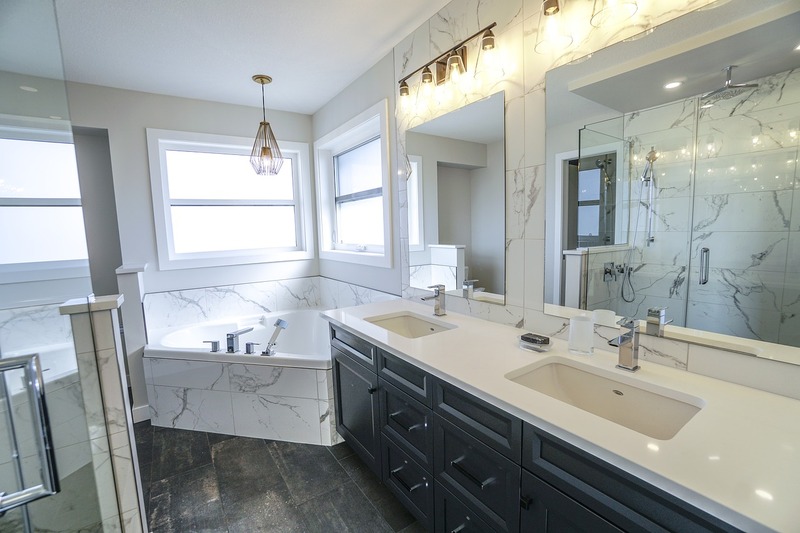 From the bright illumination of ambient lighting, the functionality of task lighting, to highlighting areas in the space, layering will enhance your bathroom design. After choosing your style, you will need to decide where to place those fixtures. This will require measuring the space, fixtures, and then properly positioning those fixtures in the space. 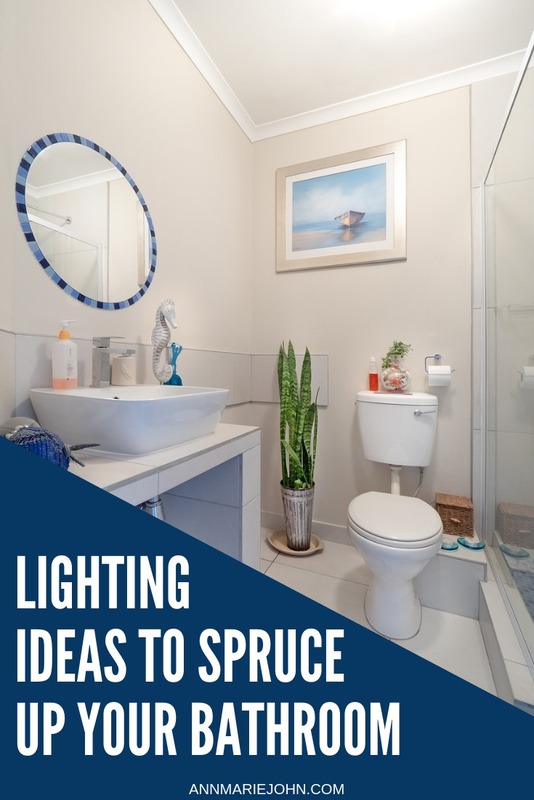 Bathroom lighting design takes a lot of work, but learning the basics will help you create the bathroom of your dreams. Before you begin your bathroom lighting design, the first step is knowing your lighting layers. 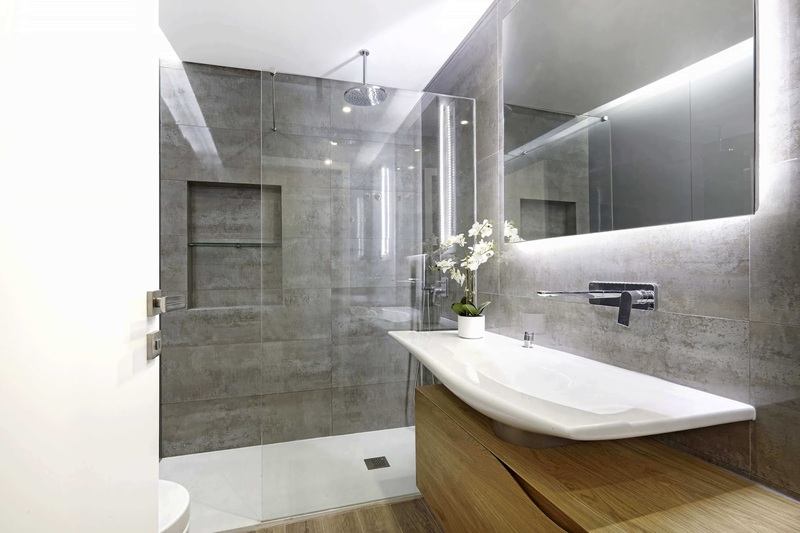 Every bathroom has a general light that you turn on to illuminate the whole space. Ceiling lights typically provide this bright illumination. If you want to change the ambiance to warm and cozy, then add a frosted diffuser to the light. Task lighting is bright directional lighting for putting on makeup, shaving, or any other tasks that you perform in front of a mirror. Avoid ugly shadows by placing wall sconces on each side of the mirror for cross-illumination. Highlight any areas or objects you want to stand out by using accent lighting. Use accent lighting in combination with ambient lighting and task lighting to create depth and a focal point. Note that the bathroom is a space where you will likely use all these layers. Add elegance to your bathtub by hanging a small crystal chandelier or pendant directly over the tub. To avoid bumping your head when you stand, place the fixture no lower than 8ft above the tub. Use LED lights to backlight your mirror. While you will still need task lighting for personal grooming, the soft glow serves as ambient lighting. However, make sure you position the LED lights correctly to produce this effect. Placing a wall sconce on each side of your mirror will provide cross-illumination, preventing shadows while doing your tasks. Use recessed lights as accent lighting and create a focal point. Here, recessed lighting highlights the bathroom window, directing your eyes toward it. The fixtures you choose depends on the look that you’re going for. Now, think about the lighting design idea you have in mind. You will need to buy fixtures that will match that style. 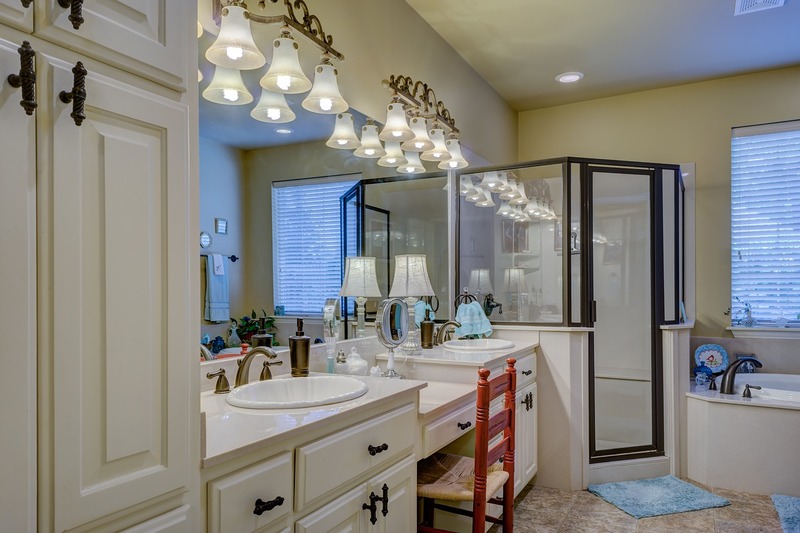 Traditional, Transitional, and Contemporary styles are commonly used in bathrooms. If want a classy and chic look, then use traditional fixtures. They are typically ornamental and stand out in a room. Transitional is a toned-down version of traditional. They have a simpler look and are less ornate. Contemporary fixtures are modernized and not elegant like the other styles. A lot goes into designing your dream bathroom so be sure to come up with a good, detailed plan. Learn the three layers and how to apply them. Choose a style that you like for your bathroom. For a decorative and eye-catching look, go for traditional. Remember that transitional has a similar style but moderate. And if you want something less showy, think about selecting contemporary fixtures. 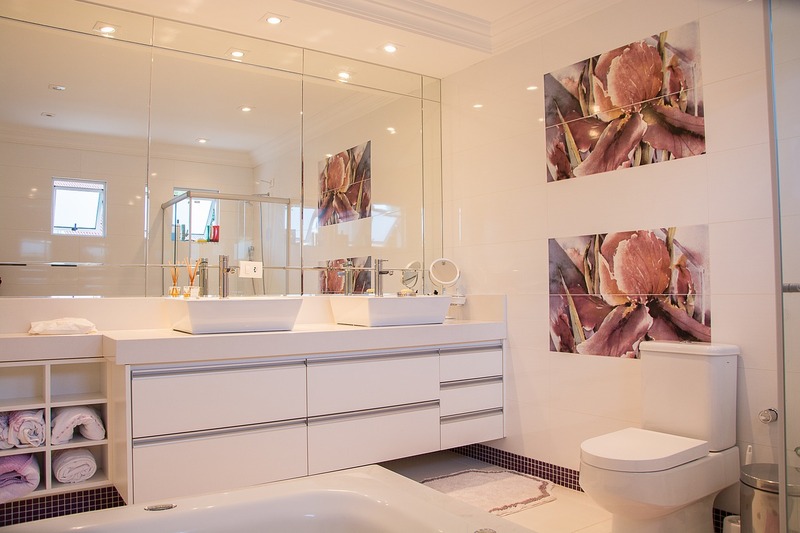 Be sure to measure the bathroom and the fixtures to ensure they will fit nicely in the space. Once you have chosen your bathroom idea, these steps will help guide you on your path to creating the ultimate sanctuary.